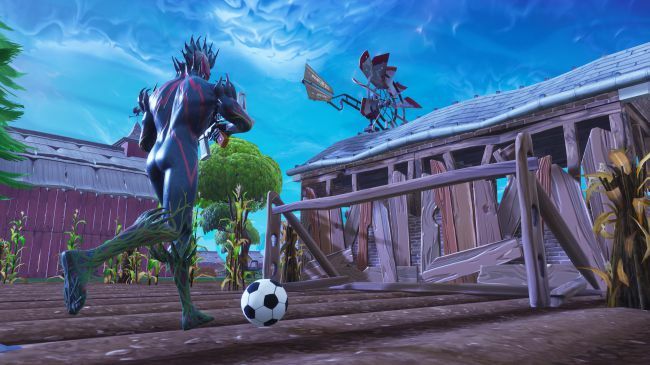 Fortnite's Playgrounds LTM is returning later today. It's already live in Asia. When Epic Games rolled out its Playgrounds limited-time mode for Fortnite last week, it didn't last long: matchmaking errors were rife, prompting Epic to remove it for some urgent patching. But it looks like the mode will roll out internationally later today, according to an update on Reddit. Indeed, it's already available in Asia. the message from Epic Games reads. You may notice that some regions or platforms gain access to this LTM before others, this is intentional and allows us to gradually open this game mode up to ease stress on all relevant backend services. This process may take some time. But get those creative ideas ready, our aim is to have this fully available to all players later tonight. We're going to closely monitor our stability over this time. Playgrounds is a sandbox-oriented mode which stretches matches out to a one-hour duration. Building resources are rewarded in higher quantities, allowing a bit more creativity with fort construction. But be careful: there's friendly fire.